With a trade already completed earlier today, the Dallas Stars are continuing to look for help at the forward position. To do that, and with the addition of Ben Lovejoy today, Dallas may be ready to part ways with defenseman Julius Honka who has worn out his welcome, according to The Athletic’s Sean Shapiro (subscription required). The team has lost faith in the play of both Honka and Connor Carrick, who both were considered inconsistent and with the fact that the team has shown they would give more minutes to Gavin Bayreuther and Joel Hanley, both currently in the NHL, moving Honka would make sense. The 23-year-old was a first-rounder in 2014 and was highly-touted before arriving to the NHL, but he has struggled adjusting to the NHL, especially with his confidence. Regardless, many teams might be willing to give up a scorer to get their hands on a project like Honka. Shapiro writes that while the Stars have some room under the salary cap and could acquire a player who makes up to $2.05MM, the team has a number of players who could be placed on long-term injured reserve, which could open up close to $8MM in cap room if needed due to the injuries of Martin Hanzal, Stephen Johns and Tyler Pitlick. While general manager Jim Nill said that there are seven or eight forwards the team is looking at, there is no word who those might be, although Shapiro believes that the New York Rangers’ Mats Zuccarello is near the top of Dallas’ list. The Chicago Blackhawks have made it clear to inquiring teams they have no intention of moving defenseman Erik Gustafsson, according to Scott Powers of The Athletic (subscription required). The team has been impressed by his offensive skills as he has 43 points in 59 games this season. He’s also tied for second among all NHL defensemen with 11 primary assists in 5-on-5 play and tied for seventh among all defensemen with 20 primary assists in all strengths. 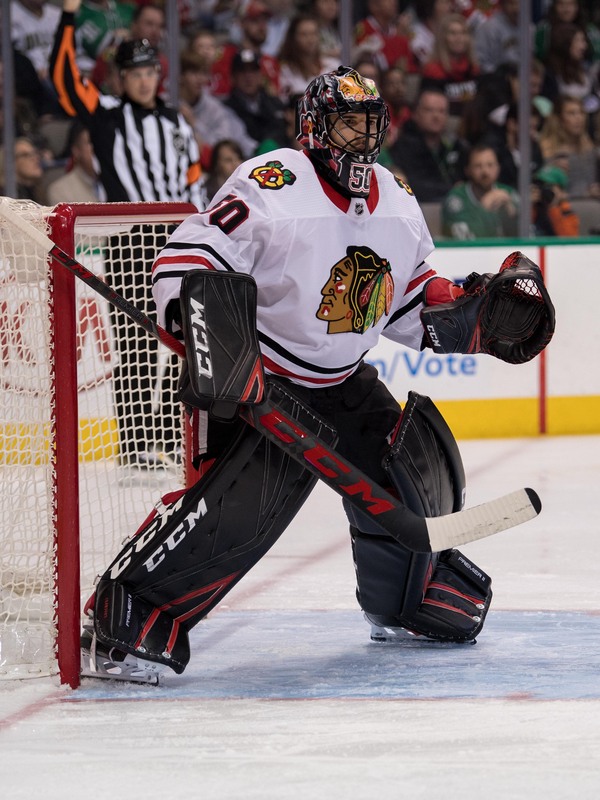 However, the team is still trying to trade John Hayden, who has played less than 10 minutes in 17 of his last 19 games. Sticking with the Blackhawks, The Athletic’s Mark Lazerus writes that defenseman Brent Seabrook, who has been out since Feb. 16 with a abdominal strain, could potentially return Sunday. The 33-year-old still averages 19:47 in ATOI this year and has five goals and 23 points for Chicago this year. Marcus Kruger, who is out with a foot injury, remains day-to-day. Interest in veteran forward Brian Boyle is increasing and the New Jersey Devils may be forced to move the respected two-way veteran. Boyle, 34, is an impending free agent and the Devils have expressed a desire to re-sign him, but with the postseason out of reach they could feel pressured to capitalize on his trade value. Boyle is not without protection, though. TSN’s Frank Seravalli reports that the specifics of Boyle’s Limited No-Trade Clause are that he may submit a list of eight teams that he may not be traded to. That would hypothetically leave New Jersey with 23 other suitors, but if Boyle’s list includes mostly deadline buyers, the options could be much more limited. Seravalli adds that Boyle’s preference is also to remain in New Jersey, so he could seek to make it difficult for the Devils to move him. Boyle is currently on pace for 22 goals and 32 points on the year, which would rival his 2010-11 season for the best offensive campaign of his career. Meanwhile, he continues to excel as a defensive forward, leading all Devils forwards in blocked shots and trailing only Blake Coleman for the team lead in hits. The all-around impact on the ice coupled with the experience and locker room leadership that Boyle brings will continue to make him a talked-about deadline target. Brent Seabrook may be immovable for a number of reasons, but the Chicago Blackhawks are going to do their best. Sportsnet’s Elliotte Friedman reports that the Blackhawks have asked Seabrook to waive his No-Movement Clause. Friedman then adds that, so far, Seabrook has declined. The veteran defenseman is in a steep decline, but apparently is content to ride it out in the city and with the teammates that he has played his entire career, rather than trying to rejuvenate his game with a change of scenery. That’s Seabrook’s prerogative, but meanwhile his cap hit of $6.875MM will continue to cripple Chicago’s attempts to improve and it will likely only get worse each year. For that reason, it comes as little surprise that Friedman notes the Blackhawks plan to keep shopping Seabrook despite the trade protection in hopes that they can find a taker in the market that Seabrook would accept a trade to. It’s a lofty expectation, but if any GM has proven that he can find someone to take expensive contracts off his hands, it’s Chicago’s Stan Bowman. There are no guarantees at the NHL Trade Deadline, but the one player who is looking almost certain to be on the move is young Winnipeg Jets forward Nic Petan. Petan, 23, was a highly-touted second-round pick back in 2013, but has been unable to carve out a full-time role for himself in Winnipeg. Petan played a career-high 54 games in 2016-17, recording 13 points, but that number dropped to just 15 games last year and 13 games so far this year. The jury is still out when it comes to whether or not Petan can be an impact player at the NHL level, but it doesn’t look like he’s going to get the chance to prove it with the Jets anyway. As such, Winnipeg is shopping Petan in their pursuit of help up front, writes Jason Bell of the Winnipeg Free Press. Bell goes so far as to say that the team will not play Petan, in fear of injury or simply because he is not trusted, until after the deadline or longer. The Jets are all-out buyers this season and selling off a young depth forward is not something that they will rule out if it helps to land a top-six forward. However, Bell says that the team is not keen to move Jack Roslovic, rejecting several offers including the budding forward so far; Petan appears to be the go-to “young roster player” that the Jets are willing to give up. For his part, Petan did a good job of treading carefully around questions from The Winnipeg Sun’s Ken Wiebe about his frustrating season and needing a fresh start, but did admit that he’s looking forward to his “next opportunity”. Reading between the lines, it seems pretty clear that Petan is as eager to get out of Winnipeg as the Jets are to trade him. After all the struggles the New York Islanders have had over the last few years finding a reliable starting goaltender, one can understand why it is surprising to see one of them at the top of the Three Stars list for last week. Robin Lehner, who was left unqualified by the Buffalo Sabres last summer, took home the first star of the week after stopping 65 of 67 shots. Lehner has played himself into a potential extension with the Islanders or a long-term deal on the open market this summer with his .930 save percentage this season for the resurgent Islanders. Second and third stars went to two forwards on teams out of the playoffs, as Mika Zibanejad and Patrick Kane did their usual damage. Zibanejad is one of the few players on the New York Rangers that seems off the trade block this season given his relative youth and affordable contract, though of course nothing is set in stone at this point. Kane on the other hand is having another incredible season in a lost year for the Blackhawks, with 70 points in 49 games. He too is untouchable, of course. Kane also made headlines today for coming to the defense of teammate Brent Seabrook. With the Blackhawks in the midst of another failed season, the scrutiny of Seabrook’s contract – considered by many to be one of the worst in the league – hasn’t gone away. Seabrook, 33, is signed for five more years at a cap hit of $6.875MM, but already appears to be on the decline. His offensive totals have decreased in each of the past two seasons and, while they are on pace to improve this year, his defense has noticeably dropped off in the current campaign. Seabrook has struggled to maintain his previous high level of play and has not been able to avoid criticism, given the price tag on his participation. Yet, Kane fired back at media members after practice on Monday when Seabrook’s name came up yet again during questioning about the performance of Chicago’s core players, NBC Sports’ Charlie Roumeliotis writes. Kane argued that Seabrook is underpaid in the eyes of his teammates due to his leadership and locker room presence, calling him the “heart and soul” of the team. Kane’s defense of his long-time teammate may keep the critics of his back for the time being, but if Seabrook doesn’t improve, his contract will continue to be a focal point of the Blackhawks struggles. It didn’t take long for Brian Flynn to find a new team. Just two days after clearing unconditional waivers and having his contract terminated by the St. Louis Blues, the veteran forward is on his way to Switzerland. EV Zug of the NLA has announced a one-year contract with Flynn, who is making his first foray into European hockey. Zug is currently the top team in the NLA; however, the team finished second overall in the regular season last year, only to be upset in the first round of the playoffs. Looking to avoid a similar fate, they have brought in Flynn who should make an immediate impact. The 30-year-old has 275 NHL games under his belt, as well as another 137 in the AHL and 153 in the NCAA as a star for the University of Maine. In stops with the Buffalo Sabres and Montreal Canadiens, Flynn showed that he could be a reliable role player, while his collegiate years and AHL stints with the Rochester Americans and Texas Stars also displayed high-end offensive ability. Playing alongside fellow NHL vets like Dennis Everberg, Carl Klingberg, and Raphael Diaz, as well as leading scorer Lino Martschini – who has garnered some NHL attention this season – Flynn should be able to step in and be a difference-maker right away for Zug. Is There A Market For Karl Alzner? It’s been a brutal 17 months for Montreal Canadiens defenseman Karl Alzner. Well, the first few months after Alzner signed a five-year, $23.125MM contract on July 1st, 2017 were probably okay. Once he actually took the ice with the Habs last season though, it was all downhill. Alzner had capitalized on a weak free agent market – one in which even we here at PHR considered him the third best name – which had inflated his value far beyond what it should have been. Alzner was a solid defenseman for many years for the Washington Capitals, consistently healthy and capable of eating significant minutes. However, he lacked much in the way of offense and in retrospect his defensive abilities were amplified by the copious talent around him on the eventual Stanley Cup champions. Transitioning to a weaker roster in Montreal, Alzner was exposed when asked to play a key role on the Habs’ blue line. Carrying the puck more often, Alzer became a turnover machine. 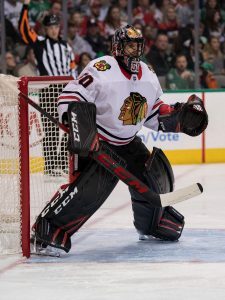 Facing tougher assignments, he was far less effective on defense and took a career high in penalties. And per usual, he contributed just twelve points and was a non-factor on offense. Entering this season, Alzner and Canadiens fans alike hoped that he could turn it around and return to the shutdown player they felt they had signed for top dollar. However, the organization and coaching staff had other plans. Alzner was a healthy scratch in season opener and to date has only played in eight games with a major drop-off in ice time. Alzner was placed on waivers and subsequently cleared earlier this week and it was fair to wonder whether he had played his last game in Montreal just over a season into his five-year deal. That became much more probable yesterday, when the Canadiens gave Alzner and his agent permission to seek a trade. Yet, permission to seek a trade is not the same as having concrete interest and willing suitors. Although the Habs have little reason not to accept any deal brought to them – barring an unreasonable amount of retained salary requested – that is just one side of a trade which obviously needs multiple teams. But is there even a market for Alzner? Two years ago, there was ample interest in him on the free agent market, but after a year in which he was exposed as having a game dependent on the talent of the players around him, he’s no longer the prize he once was. Then there’s also the matter of his contract, a relative albatross of four more years at $4.65MM. His stock is the lowest it has ever been, while his price is at it’s highest. That’s a tough combination to sell to a team. Alzner went untouched on waivers, meaning any team interested in acquiring him would also expect the Canadiens to retain some salary or otherwise add another piece to the deal. Clearly, Alzner is not a player that can do much to help a rebuilding team. His cost also makes him a difficult addition for any team close to the salary cap ceiling. This leaves a narrow group of potential suitors who have talented rosters but are in comfortable salary cap shape and have a long-term need for a defensive blue liner. Any come to mind? It’s not a common occurrence, at least not currently. The Toronto Maple Leafs, although dealing with the William Nylander saga and long-term salary cap planning as is, would make some sense. The team is likely to lose Ron Hainsey and Jake Gardiner to free agency this summer and could use a long-term physical presence on the blue line at the right price. Their preference would certainly be to add a right-handed defenseman, but might not be picky if they feel Alzner would excel in their system. Barry Trotz’ new uber-conservative New York Islanders could also be a fit for Alzner, as they could stand to upgrade their blue line depth and have the existing talent to ease Alzner into his natural stay-at-home role. Alzner would seem to be a perfect fit for the Isles’ current system that emphasizes physicality and patient pace. The Columbus Blue Jackets and Minnesota Wild have fallen short of the ultimate goal despite strong recent campaigns and have the cap space to add a luxury piece like Alzner, who would be a bottom-pair defender for either team, albeit a needed depth addition. Finally, there are the Chicago Blackhawks who, despite shedding salary this summer, refrained from using their newfound cap space. Chicago had interest in Alzner when he was a free agent in 2017, considered by many the favorite to land the physical defender. The team could still use more talent and especially more shutdown play on the back end. However, with one of hockey’s worst contracts in Brent Seabrook already on the roster, could they really risk adding a similarly disappointing and overpaid defenseman in Alzner? Those are just five teams who could potentially have interest in Alzner. There could be more, if some teams feel that Alzner’s play in Montreal has been a misrepresentation of his ability. Yet, there also could easily be less, as Alzner has done nothing in the past year plus to prove that he is anything more than a replacement level checking defenseman. Given his contract status, Alzner may find it difficult to match up with a new team and put together a successful trade out of Montreal. It is certainly a possibility, but the only team Alzner is likely going to be playing for in the near future is the AHL’s Laval Rocket. 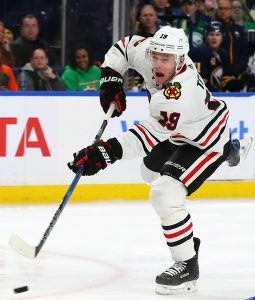 Sep 19: The Blackhawks issued an update on Murphy’s status, indicating that he will be off the ice for the next six weeks and is looking at somewhere between eight and twelve weeks before actually getting back into the lineup. That confirms that the Blackhawks will be without him for a good chunk of the season, and will need to find someone else to step up on the blue line. Sep 14: The Chicago Blackhawks have question marks all through their group of defenseman, and got another one today when it was announced that Connor Murphy will miss the next eight weeks with a back injury. Murphy was locked into a role with the team heading into camp, but will have to sit out well into November as it turns out. The team also announced that Brent Seabrook will miss a week with an abdominal injury, and Gustav Forsling continues to work his way back from wrist surgery. After a down year from Seabrook and Duncan Keith, Chicago is coming into the season without a real obvious plan on the blue line. Murphy’s injury will only complicate things and could lead the Blackhawks to bringing along a young player like Henri Jokiharju for the first part of the season. Jokiharju, Chicago’s first round pick from 2017, had an outstanding 2017-18 season with the Portland Winterhawks and could be ready for NHL competition even at the tender age of 19. The Finnish defenseman has shown an incredible ability to move the puck under pressure and could quickly become the primary option for the Blackhawks on the powerplay. Still, that’s a lot to ask of a teenager at this point, especially given the pressure that is on the Blackhawks to perform this season. After a down year the team is still stuck in contract purgatory given their huge commitments to Jonathan Toews, Patrick Kane, Seabrook and Keith, and needs to find a way back into the playoffs immediately. There’s no rebuild happening in Chicago, though the organization does have several interesting young names who will play a big role up front this season. Jokiharju, or whoever is given an opportunity in Murphy’s absence, will be asked to shoulder a lot of responsibility right away.